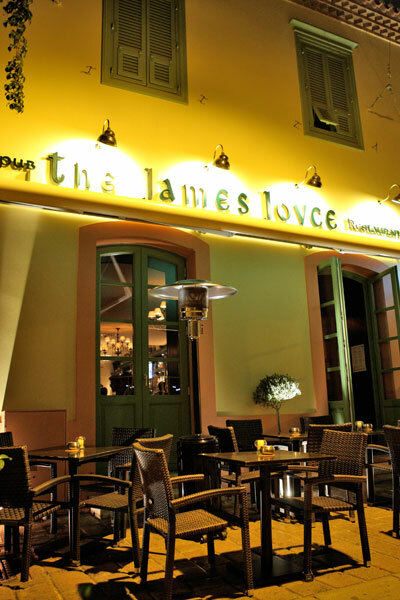 The James Joyce Irish pub in Athens. It’s easy to suffer from culture shock‏‎. However, one of the ways to dive straight in and begin enjoying yourself is to meet new people. This article looks at some simple ways to get in touch and make new friends in a new country. People are social beings. We like to meet others and make friends. During your first few days in a new country you may feel completely lost, but always bear in mind that those confident groups of foreigners you might see chatting away in a bar were also once alone in the city and feeling just like you do now! Children find it easy to make friends. A child just goes up to another kid and says, “I’ve got a ball, do you want to play?” and they’re best friends ten minutes later. As adults it may seem harder, but in reality it’s not. Just more subtle. We all still want to be friends with lots of other people, we just have to be less blatant about it. To begin with, it’s nice to find friends from the same background as you. Ideally in our first week in town we’d like to find someone who comes from the same hometown, went to the same school, is the same age and watched the same TV as we did. But we’ll quickly settle for someone who speaks the same language. Or a variation of it! Later on, of course, we want to expand our group of friends and meet local people who will open up a whole new vista of opportunities and experiences to us. If you learn a few words and use them next time you’re in the next door shop, who knows if it will lead to a conversation which could well lead to being invited for Sunday lunch. Once people find out who you are word will spread quickly; one common outcome is that you’ll be asked to give private lessons to someone local and this in itself will not only earn you a little extra, it will also often end up giving you a new friend. If someone invites, take them up on it; who knows where it might lead? And if someone doesn’t invite you – well invite them instead! As an English teacher you’ll likely be the object of some interest, certainly in smaller towns and areas. Take this opportunity to allow people to talk to you and invite you out! Many foreign cities have their own local newspaper in English. There are often classified advertisements at the back advertising social groups. You may not be particularly interested in joining the Medieval Art Appreciation Society or Line Dancing for Beginners but if you do, you’ll meet some people and that is the main reason for you going. If you are of a religious bent, the local church can provide a great way to meet people. Going along regularly and participating in all their activities will certainly introduce you to a few people. Even if you don’t make friends easily, just chatting to a few people in English once a week can be a great relief. Every English teacher abroad was once new in a country and they’re often more than happy to meet up for a chat about life. Many big cities have at least one of these! If you’re happy going a few times alone to a bar, then this can be a way to meet people. It may not be everyone’s cup of tea to stand alone and order drinks, but if you just want to hear a few familiar sounds then this is the place to go. If you turn up regularly, same time, same place, then sooner or later you’ll start chatting to someone and sooner or later someone will start chatting to you. It’s especially true if there are less people in the bar and there’s a sports TV where you can comment to neighbors about how good/bad a team is playing! Often these kinds of bars will organize sports nights on the occasion of big matches so watch out for these. Your local Embassy or Consulate may have a list of social groups. This is especially true of smaller locations where the official staff tend to be more in touch with local needs. The internet has made the job of finding people much easier. Just do a search for your city/town plus the kind of activity you are interested in be it football, cricket, theater, dance or whatever. There are bound to be groups which do this and the advantage here is that if they’ve a website or FaceBook page in English then they will be local and international. Also forums are a useful starting point. There are often English language expat forums for a country or town and you can start posting there to get to know people. The next step, of course, is to suggest an informal meeting. Facebook and other social networking sites often have social groups who meet in real life; do a simple search for your location to see what’s out there. In addition, there are several excellent online meetup groups. Often these are set up by expats who meet once or twice a month at a restaurant or bar for a few drinks and a chat. It often happens that members of these groups come from different nationalities while the lingua franca‏‎ is English. Whether you particularly like or dislike members of the group it doesn’t really matter. The important thing is that you meet new people and have a chance to talk and listen in English at the end of the week! Meeting people is easy. You need simply to smile, to take that extra step and to be open. Remember, the person next to you may be as eager as you are to find someone to socialize with, but not quite have that little extra push you have to make it happen! And in regards to safety, in 99.99% of cases you’ll be fine, but just a little commonsense might help. If you’re going to meet an unknown person, make sure it’s in a public place.